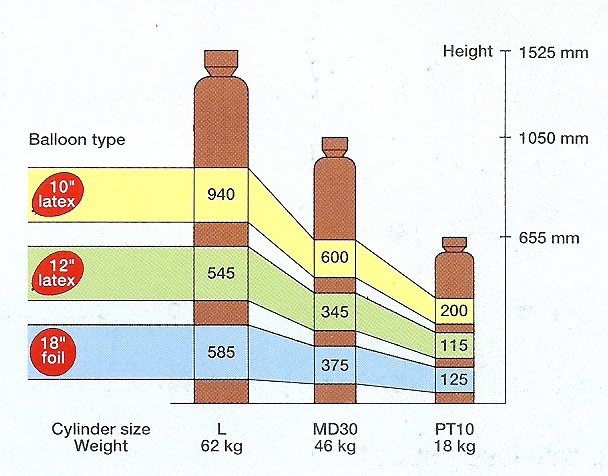 Select the Heligas cylinder that's right for the job our one-stop shop for helium balloon gas. All inflation numbers are approximate, as it will depend on the person using the cylinder. Most good quality latex 12" balloons will last 16 hours from the time of inflation, so it is advisable not to inflate the balloons too early and definitely not the day before your event. We will deliver and collect locally for £8 for small cylinders or £10 each way for the larger ones. Operating Instruction for your latex filling kit - please note you do not require a spanner. Make sure the cylinders are safe and secure. Chain, tie or strap them to something solid. 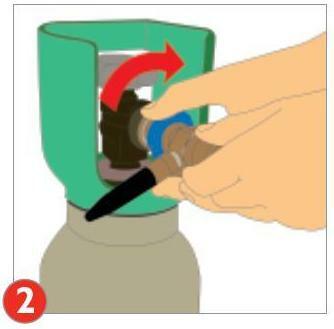 2) Tilt the tip at any angle to begin inflating the balloon. 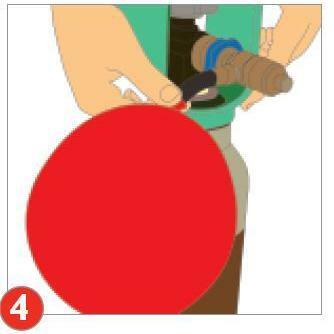 3) When the balloon is 'pear shaped' - stop inflating and tie a knot in the balloon. DO NOT USE A SPANNER. 2) Push back, release when balloon is fully inflated. 3) Do not over fill the foil balloon, leave some creases in the balloon to allow for temperature change. 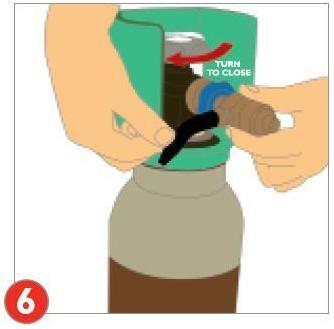 Slowly open the cylinder tap anti clockwise. You might hear a firm 'popping' sound. 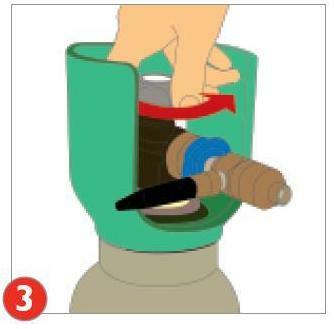 4) After you have finished inflating your balloons, turn the cylinder off, release the helium trapped in the filling kit. 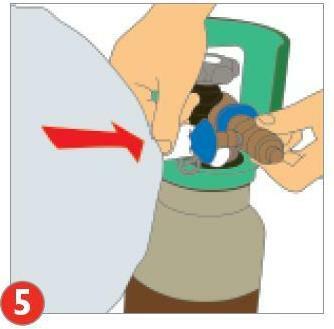 5) remove the kit before transporting the helium cylinder.